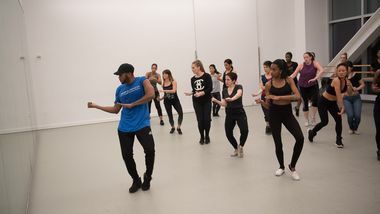 (New York) February 4, 2019 – This February, Ailey Extension welcomes students to the Joan Weill Center for Dance – New York’s largest building dedicated to dance and home of Alvin Ailey American Dance Theater – to adopt heart healthy behaviors through new and exciting dance and fitness classes for everyone. During American Heart Month, join us on the dance floor to improve cardiovascular health and lower the risk for developing heart disease with Ailey Extension’s Class of the Week, a one-time-only discounted class that will be announced each Monday during the month of February. Students can keep their heart rate up with friends, loved ones, coworkers, and others in the Ailey community during a special Valentine’s Day Salsa class that will get everyone moving and grooving to the rhythms of passionate Latin music and dance. 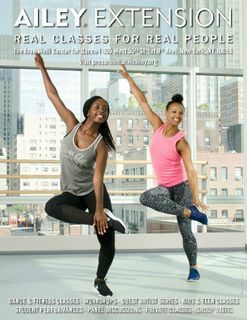 Ailey Extension’s “real classes for real people” are open to dancers of all levels and backgrounds – including absolute beginners. (New York) December 6, 2018 – In celebration of Alvin Ailey American Dance Theater’s 60th Anniversary, Ailey Extension invites people to experience the life, legacy, and artistry of Alvin Ailey through intimate panels and workshops led by his illustrious former dancers. Sylvia Waters will moderate the Growing Up with Alvin Ailey Legacy Panel on December 10, featuring former Ailey stars Sarita Allen, Elizabeth Roxas-Dobrish, and Desmond Richardson as they share personal stories, individual experiences, and life lessons learned during their tenure dancing for the legendary founder. On January 5, what would have been Alvin Ailey’s 88th birthday, Artistic Director Emerita Judith Jamison leads an exclusive Celebrating Alvin Ailey Workshop to share cherished memories of Mr. Ailey and teach some of his most well-known choreography. 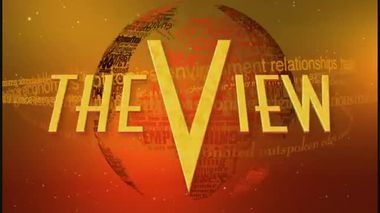 (New York, NY) October 31, 2018 - In celebration of Alvin Ailey American Dance Theater’s momentous 60th Anniversary, Ailey Extension extends an invitation to dancers of all levels and backgrounds to join workshops by Company dancers and choreographers featured in the New York City Center holiday season (November 28-December 30). Acclaimed Ailey stars Linda Celeste Sims and Jamar Roberts lead Contemporary workshops that will unite Modern dance principles with the exploration of artistic range, and renowned choreographers Rennie Harris and Ronald K. Brown will offer an immersive taste of upcoming season world premieres and their respective signature styles. 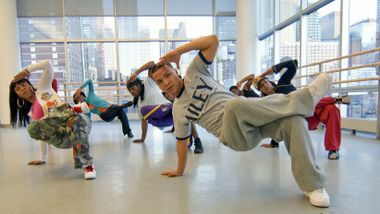 Ailey Extension workshops are open to participants of all experience levels. W 42 St - Let's Dance! Remember the first half of Footloose? Where dance isn't allowed and no one does it? That's where I live. I don't want to dance with somebody and my hips do, in fact, lie. That being said, this month someone hit fast forward on my movie and I found myself at the warehouse dance party aka Ailey Dance Extension. With more than 90 weekly classes, I was quite overwhelmed with my choices. I started with salsa. They're putting the 'age' in agile! Meet NYC's top fitness pros over 65, including Ailey Extension instructor, Finis Jhung. Despite having his hip replaced in 2017, Jhung continues to teach adult beginner ballet classes at the Ailey Extension in Hells Kitchen. Afro Flow Yoga is a body-and-soul awakening. 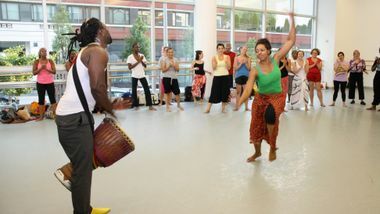 Created by dancer-yogini Leslie Salmon-Jones and multi-instrumentalist Jeff Jones, the dance form melds yoga with West African diasporic dance.